It’s all change at the top as North Lanarkshire Council has announced “the most radical transformation of senior management in its history”. All five executive director posts are to be abolished and replaced by three assistant chief executives, with wider remits. Seven Head of Service posts will also be scrapped with 11 other posts being altered. This shakeup of senior management will save over £700,000. The move follows an announcement by finance secretary John Swinney that local government funding is to be reduced by £350 million. 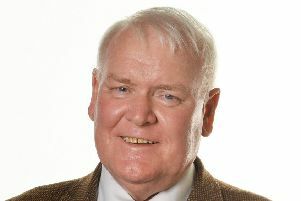 Councillor Jim McCabe, leader of the Labour-run local authority, said: “Labour councillors are trying to do all we can to protect frontline services and jobs, but we are facing horrendous cuts as a consequence of the decisions taken by the SNP Government. “The cuts are so severe that the impact will be felt across the council and throughout our communities. “We have taken the decision to make radical changes at the top, to streamline the council’s management structure and make considerable savings. This is only the first phase and we aim to examine what further changes we can make to senior management going forward. “I am however disappointed that SNP members on the committee did not see the benefits of these changes and moved an amendment to stall action being taken. SNP group leader David Stocks accused Mr McCabe of playing “a dangerous game” with people’s careers, and denied that the SNP had tried to stall action being taken. At last week’s full council meeting the group called for a special meeting to be held in the New Year to discuss this plan further. Mr Stocks added that he felt these reforms had been “railroaded through” and compared it to the 2014 school closures which ended up being ditched at a cost of £330,000.